Crab Cakes should be simple, they don’t need a bunch of peppers or strange ingredients and they definitely don’t need a bunch of bread crumbs. The key is buying the best crab meat you can afford that’s available. 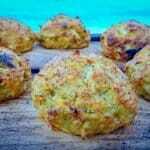 Fresh is always best but I’ve made some very tasty crab cakes with pasteurized crab meat too. I made this batch of crab cakes with fresh whole crabs that I painstakingly picked myself. Obviously that’s not always an option but it’s a great way to use leftover steamed crabs if you have them. Save the shells to make amazing soup broth but that’s another recipe. The type of crab meat you use will also affect the amount of sauce you’ll need to make the crab cakes.. Always be sure to add the sauce to the crab meat and never the crab meat to the sauce. 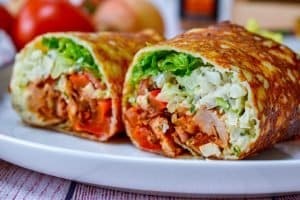 You can always add sauce but you can’t add crab meat, well you could but that can get expensive. 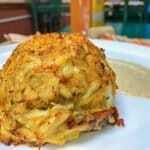 You just need enough sauce to coat the crab meat so that there’s enough to hold the shape of the crab cake. 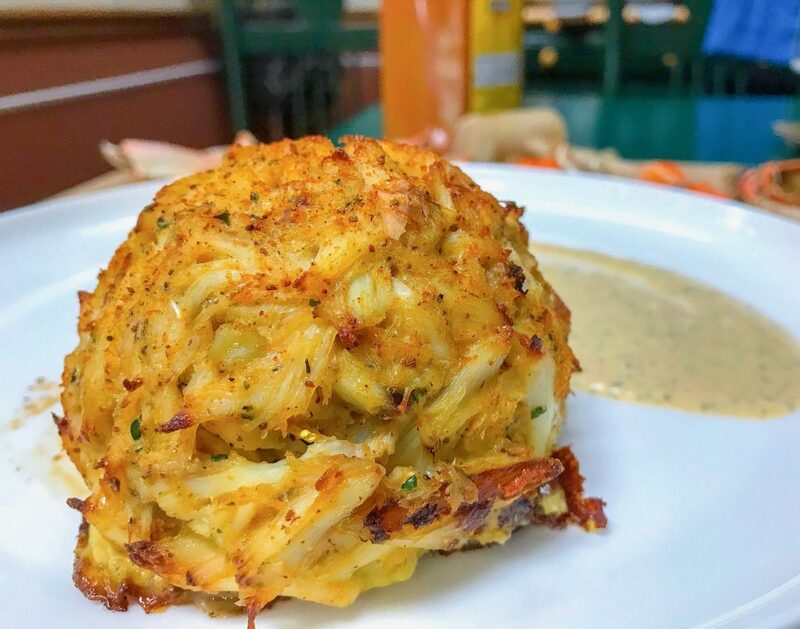 Make one test crab cake and then put it back in the bowl with the rest of the crab meat to sit, it will bind even better after a few hours in the fridge and can even be prepared the night before. Form the crab cakes while you’re preheating the oven and they should come out perfectly. 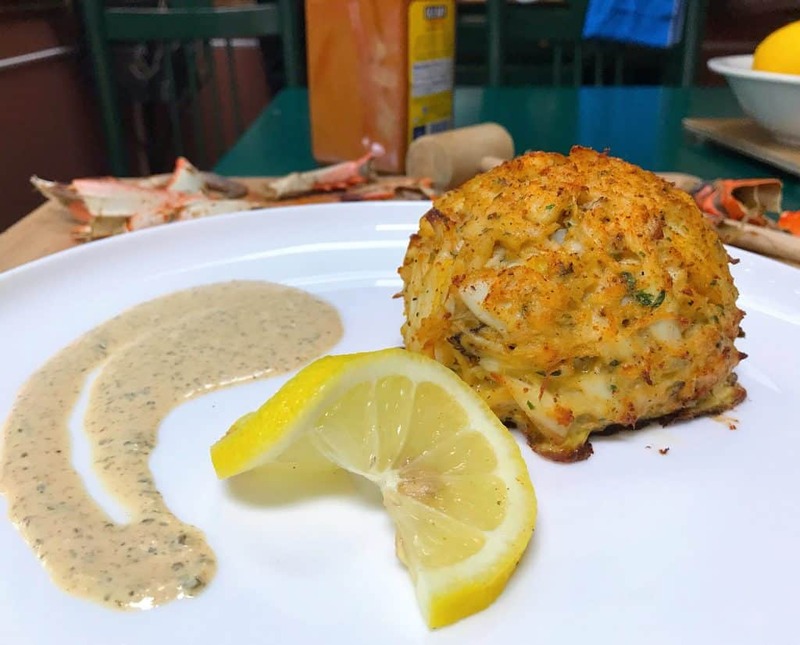 Just because I’m a condiment junkie I wanted to include this Remoulade recipe as a bonus, it’s a tangy creamy sauce that’s perfect for any seafood, especially crab cakes. It’s a super simple recipe that takes less then five minutes so it’s a no brainer to pair with this crab cake recipe. Pick through crabmeat to make sure there are no shells and place in a mixing bowl. In a separate bowl combine all other ingredients and whisk. Add half of the liquid to the crab meat then gently fold until crab meat is fully coated. Add additional liquid mixture as needed but don’t drown the crabmeat in sauce. Let mixture sit in the refrigerator for at least 1 hour to set up. 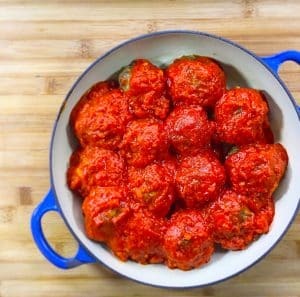 Preheat oven to 425 degrees F. Portion the crab mix into four equal balls and place on parchment paper on a baking pan. Dust lightly with old Bay. 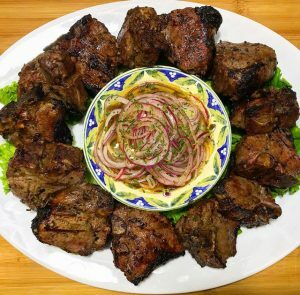 Cook for 12-15 minutes until golden. Place all ingredients in a blender or food processor and rough pulse so it’s fully combined but not completely smooth.